I'm buying both right now, but in terms of relative value corn is cheaper than gold at the moment. 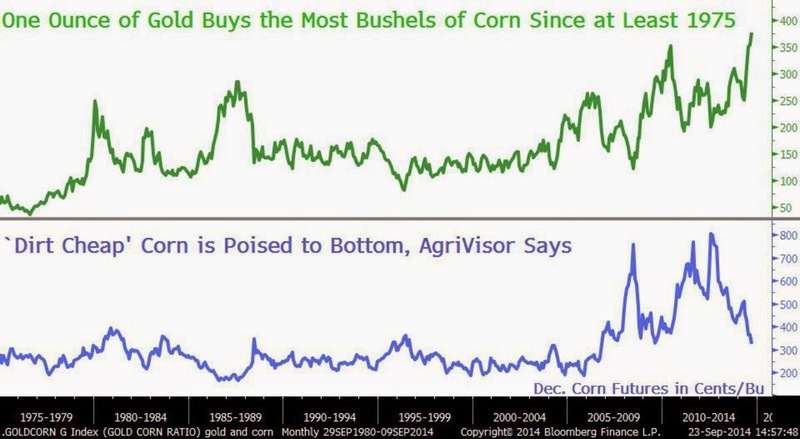 The chart below shows one ounce of gold buys the most bushels of corn since at least 1975. The blue line shows the destruction in corn prices over the last three years.